Posted on 26th June 2017	under Blog. Cloud computing continues to creep into businesses of any size, and the “cloud” is no longer a trendy buzzword. The cloud has become a viable alternative to many different services that, until recently, were only available via on-premises cumbersome hardware. Which on its own drove the need for specialist staff to manage that hardware, leading to increased costs and lower flexibility. We explain why so many companies are adopting the cloud and how this can improve the experience for your clients. The modern business landscape changes a lot faster than it used to. Partially due to technological advancements, and partially due to increased competition and globalization. Remaining flexible and agile is key to remaining successful. Cloud-based solutions allow for a lot of flexibility – growing company bandwidth, increase in the number of users, implementing new features, easy access, just to name a few. Software and services hosted online have the ability to adapt in response to business growth, new technological developments, and ever-changing user needs. According to a recent survey by Computer Economics, investment in IT infrastructure and hardware has slowed down since 2016 in the UK. They speculate that Brexit has had a big influence on businesses looking to secure their position and hold-off making bing decision until there’s more certainty. Moving to the cloud is a sensible decision regardless of the political landscape. With it you get lower people costs, lower power costs, no up-front capital required and resilience without redundancy. When phone systems go down, bad things happen and businesses should always look for ways to minimise outages. Because you don’t rely on hardware stored on your premises, you have much lower chance of experiencing a business disaster, due to unforeseen circumstances. And because the cloud is essentially data servers located around the world, it ensures data backup and fail-over servers which can pick up the workload in case of an outage. This means your staff won’t need to run around the office, sweating over recovering data and restoring systems. Outside your company, users won’t experience any disruption to the services you offer and it will be business as usual. In 2016 cybersecurity breaches cost British businesses almost £30bn. But it’s not only about the financial cost, but a breach can cost you the trust of your customers. Protecting personal data and making sure the privacy of your customer is secure is paramount. More often than not, outdated software and an older system can easily fall victims of an ill-intended hacker. This means your in-house IT staff has to be on top of their game every day, all the time making sure all computers are secured, up-to-date and all users are educated with latest best practices. In the cloud, software and security updates happen as soon as they are released and are rolled out to all users simultaneously. Apart from allowing for remote working, the cloud also makes it easy to access most services via any mobile device you may carry around with you. Sometimes teams are rooms apart, cities apart, and even countries apart. And keeping this continuity in your company is essential to clear communication. 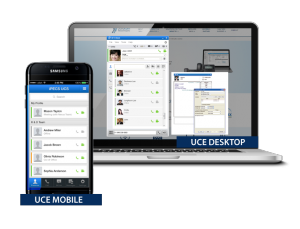 Need to add a new user to your cloud-based business phone system? Takes two minutes. 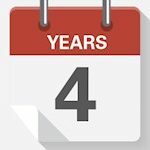 Want to check how many days off you’ve taken this year? Log in to you cloud-based HR system. Need to check sales and potential leads? Check your cloud-based CRM. Moving to the cloud opens up a whole new world of freedom, cost reduction and security. Are you ready to take part in it?